Officials at the Ministry of Tourism and Aviation (MOTA) and the Bahamas Development Bank have joined forces to host a two-day workshop aimed at spurring greater entrepreneurial opportunities in the tourism-related business sector. The workshop will take place September 13-14 at the British Colonial Hilton. Presenters will include Janet Johnson, director, business development, MOTA; Patrick Rahming, CEO, Patrick Rahming & Associates; Brendan Foulkes, lecturer, University of The Bahamas; Davinia Blair, executive-director, Small Business Development Centre; Justin Sturrup, deputy managing director, Bahamas Development Bank; Quintin Curry, business consultant and Craig Mortimer Sr, manager, Tours & Transportation Department, MOTA. On announcing the workshop yesterday, Minister of Tourism and Aviation Dionisio D’Aguilar said that the content of the workshop is geared towards “capturing the imagination of budding entrepreneurs who already have an inkling to start a tourism-related business and are seeking guidance and funding”. 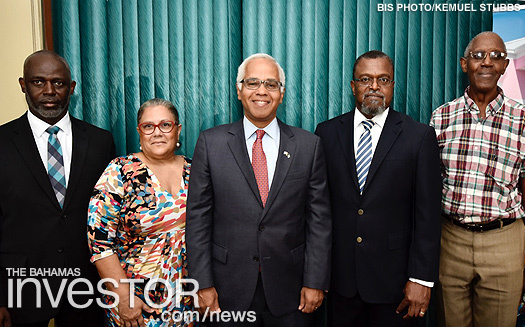 Up to $50,000 will be available from the Bahamas Development Bank for participants, depending on the project and its potential. Technical and management support for the workshop, will be provided by officials from the Small Business Development Centre, the Tourism Development Corporation, and the Grand Bahama Port Authority. “This workshop is designed to give participants the best chance for success by providing two organizations – the TDC (Tourism Development Corporation) and the SBDC (Small Business Development Centre) — to support the Bahamas Development Bank in this endeavour,” said D’Aguilar. “It is the first in a series of workshops that we plan to eventually take to the other islands intended to create jobs and improve the quality of life throughout the islands. It is a people-centred approach that is intended to inspire local entrepreneurs to think about getting involved in the tourist business, offering related products and services to increase tourism spend and help to distribute the wealth. Minister D’Aguilar said statistics show that 6.3 million foreign visitors travel to The Bahamas on an annual basis, 75 per cent of them by cruise and 25 per cent of them stopover visitors. The 75 per cent of cruise passengers, however, represent only 11 per cent “of the spend”. 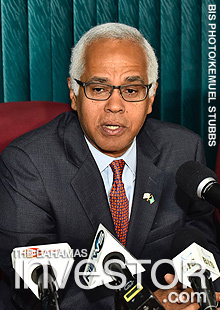 “So that tells me right off the top that all of these cruise passengers are coming to The Bahamas, the Ministry of Tourism is doing a great job attracting them here, and we are doing a poor job of increasing the spend from those foreign visitors when they get here,” he said. Minister D’Aguilar said the discrepancy creates significant opportunities for economic development and growth for innovative, creative, transformative and aggressive, local entrepreneurs with viable and credible tourism-related business ideas. Minister D’Aguilar said potential entrepreneurs attending the workshop are expected to come fully prepared. Bahamian professionals will be in attendance to assist those budding entrepreneurs with “credible, viable ideas”. Minister D’Aguilar said there is “great potential” for tourism-related business entrepreneurs, particularly in the cruise industry. Minister of State for Grand Bahama Kwasi Thompson was the keynote speaker at the groundbreaking ceremony for Elnet Maritime Centre August 27, 2018. The Central Bank of The Bahamas has released revised Guidelines on the Prevention of Money Laundering & Countering the Financing of Terrorism (the AML/CFT Guidelines). Read/download the guidelines here.